Flamingo Travel Umbrella Shop the largest selection of Michel Design Works umbrellas - Flamingo Collection. Plus enjoy free shipping on all US orders over $50. Remove this compact Travel Umbrella from a briefcase or bag, slide off the fitted cover, push a button, and pop! 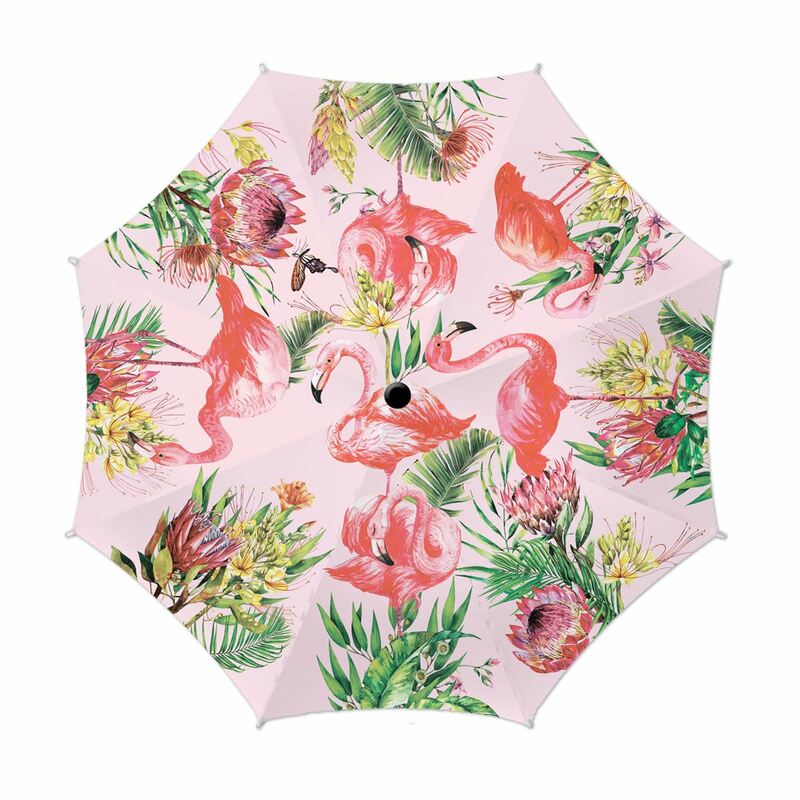 In an instant, you're sheltered from the wind and rain–and looking very classy. And there's more good news: a push of the button will collapse the umbrella, too.